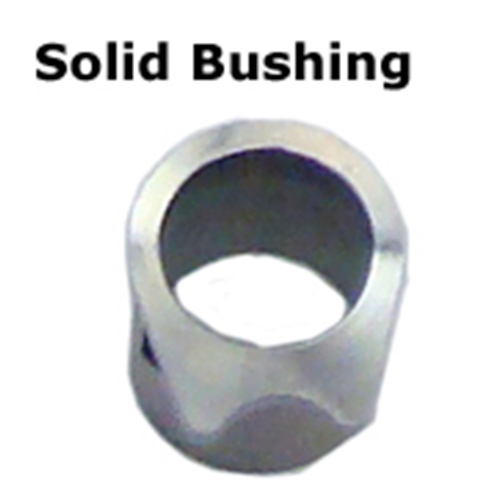 Solid bushings are made out of 17-4 Stainless Steel for maximum tensile strength. The distance from the flange to the locking cam is reduced to allow accurate fitting so as to prevent in line movement. The OD and ID if the bushing is oversize to allow for accurate fitting.